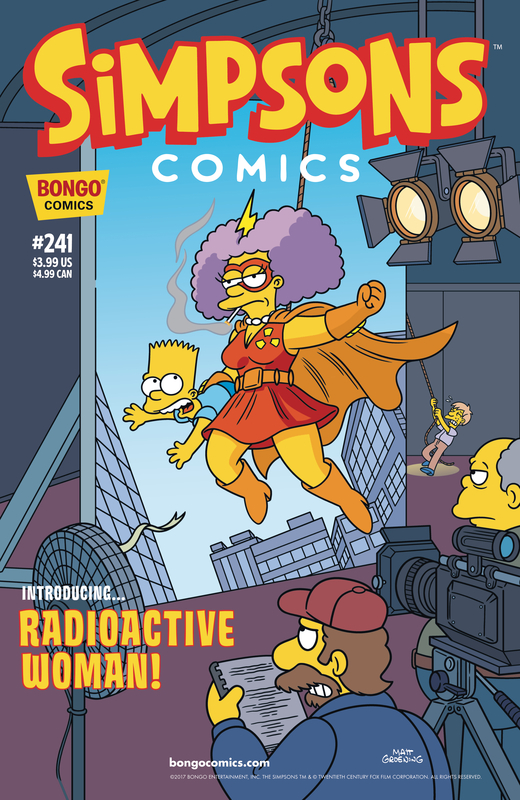 Simpsons Comics #241 is the two hundred and forty-first issue of Simpsons Comics and was released on November, 2017. "In the spirit of infamous and ill-advised movie reboots, Radioactive Man: The Movie is being remade in Springfield, this time with an all-female cast under the direction of Krusty the Clown. And with both Bart and Comic Book Guy vociferously offering their opinions on the matter, it’s hard to say who or what offends the hoi polloi and Hollywood the most"
Modified on December 31, 2017, at 03:32.